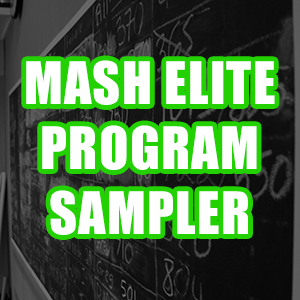 “Mash Program Sampler 2” prices increase after this weekend! 2- Weightlifting Programs (1 directly from the MDUSA Days), 1- Powerlifting Program, 1- Super Total, 1 Athletic Performance (Tommy Bohanon’s Program), 1 Athletic Speed, and 2 Cross Training workouts! All profits go to help support our non-profit Team, so thanks in advance! Greetings Mash Mafia! My name is Matthew Shiver. I’m excited to announce that I have joined the Mash Elite Coaching Staff. I cannot begin to tell you how excited I am to be a part of the team. With that, I wanted to give you a little background on my experiences. Strength training has been my outlet for expressing myself for the last 10 years. I remember working out for the first time in an old garage with a rusted barbell and plastic weights. I had no idea what I was doing, but it was FUN. From this young age, you could say that I was bit by the bug. 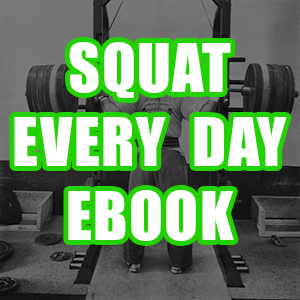 I wanted to know everything there was to know about lifting weights. This love for learning led me into pursuing a career in the health and wellness field. I’m originally from Mount Pleasant, SC. In high school, I played football and a little bit of basketball. It was during my Junior year of high school when found out that physical therapy and strength and conditioning was where I wanted to spend the rest of my life. During that year, I went through an ACL reconstruction of my right knee. Just a few months post-surgery, I reinjured my knee and ended up having to have another knee surgery. It took me about 12 months of rehab before I was able to return to play. My rehabilitation process was nothing but frustrating. The typical protocol of 3 sets of 20 on leg press, step-ups, and knee extensions/flexion with the addition of balance training never seemed to get me back to where I needed to be. I found that once I started doing squats and deadlifts in the weight room on my own, the rehabilitation process got much faster. I was shocked that the physical therapy that I was receiving did not include them. I knew then and there that something was needed to bridge the gap between rehabilitation and performance. At the pace that I was going doing just my rehabilitation work at the physical therapy clinic, I knew I was not going to be safe out on the field. If we think about training, we know that everyone responds to different amounts of volume and intensity. Yet many physical therapy practices do not have a strong understanding of exercise prescription and progression. The two fields of strength and conditioning and physical therapy must go hand in hand if you have a serious athlete who wants to return to a high level of play. So that led me to down the path I am traveling now. 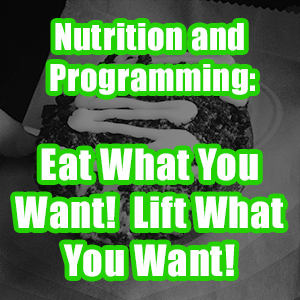 Upon graduating high school, I studied Exercise Science and Nutrition at Appalachian State University. There I got involved with sport science research and a variety of different strength and conditioning communities of Boone, NC. Appalachian introduced the sport of CrossFit and weightlifting into my life. In one of my first Exercise Science classes, my professor pulled up the video “Cold” by Jon North to show us what maximal power output looked like. 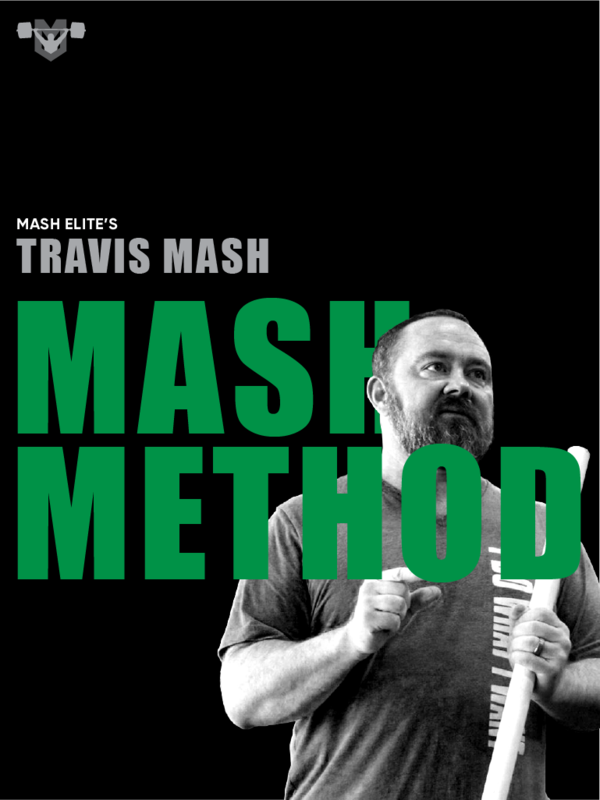 That was where I was first introduced to Travis Mash. I’ve been following Mash Mafia and all the content they have been putting out for the past 3 years. It has been an integral part in my education. 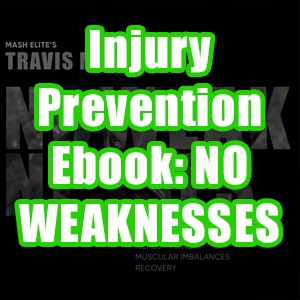 All the podcasts, articles, and eBooks that he has put out have shaped the way that I look at training and even rehabilitation. About the same time I got actively involved in reading all the strength and conditioning articles and books I could get my hands on. I spent hours outside of the classroom learning everything there was to know about strength and conditioning. While at Appalachian, I cofounded Appalachian’s Mountaineer Weightlifting Club and directed two local weightlifting meets for the Appalachian community. Weightlifting became a huge part of my college experience. After graduating from Appalachian, I decided to try a new strength sport for fun. For 16 weeks, I prepared for an NPC bodybuilding show, the Max Muscle Classic of Virginia. During these 16 weeks, I shredded up and lost a total of 35lbs! It was quite the humbling experience to say the least. My relationship with food, exercise, and reality were all tested. I quickly realized the training for strength was a much more enjoyable lifestyle than training for physique. I am currently pursuing a Doctorate in Physical Therapy at Duke University. When I’m not in class or studying, you can find me coaching and training weightlifting at Bull City CrossFit in Durham, NC. If I’m not at the gym, I enjoy spending time outside. I enjoy the company of my friends and nice beer! I’m excited to see the future of Mash Mafia grow. Again, I’m blessed to be part of the team!